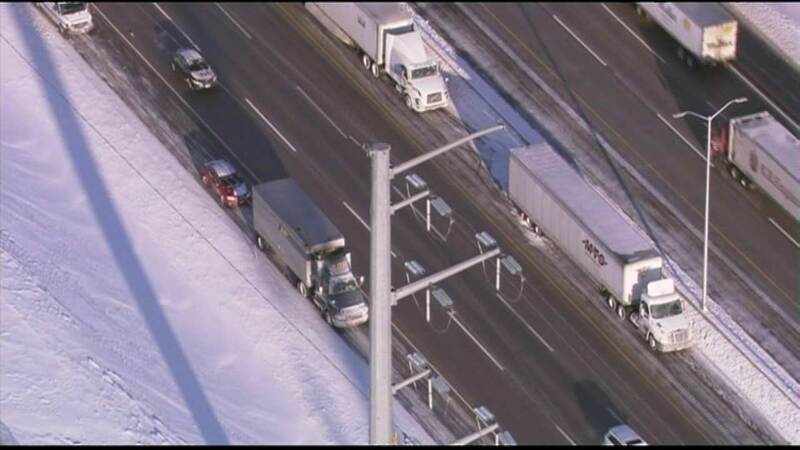 HUNTLEY, Ill. (WLS) -- About 21 vehicles were involved in crashes and spinouts along the eastbound Jane Addams Tollway in northwest suburban Huntley Friday morning. The crashes began just after 8 a.m. near Rt. 47. An estimated 15 cars and six semis were in varying aspects of accidents. One small crash appeared to have spun out and then was impacted by a semi. About six rear-end accidents appeared to follow, some involving cars slamming into semis. Two lanes of traffic appeared to be getting by. A mattress was seen along the raod after the crashes.